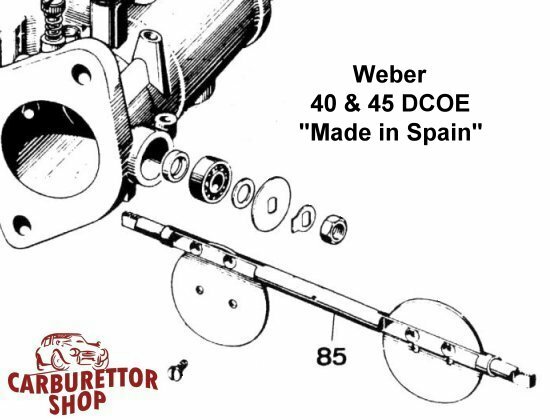 Throttle spindle for the 40 and 45 mm SPANISH made Weber DCOE carburetors. 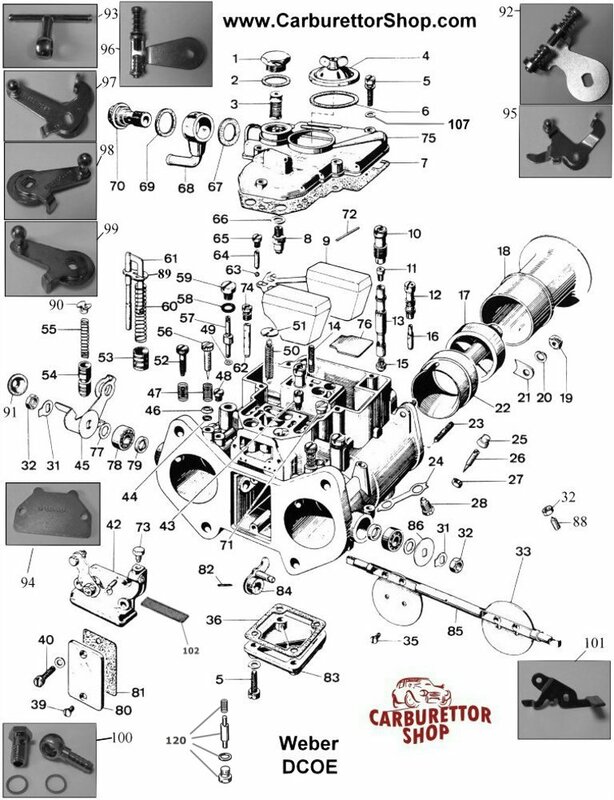 Please note that this throttle shaft will ONLY suit the 40 and 45 mm versions made in Spain. The other versions require different shafts. 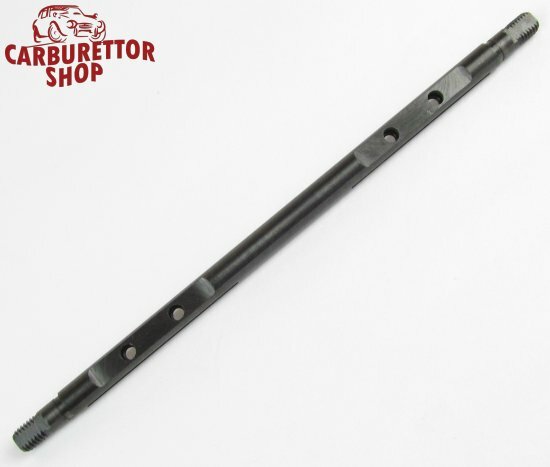 These shafts are supplied without the hole for the roll pin to secure the pump arm. 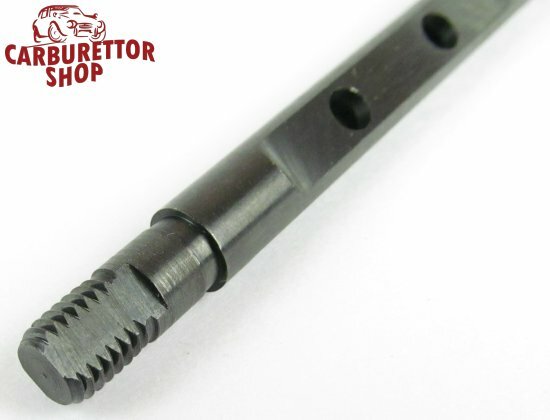 Throughout the years, the location of the pin varied and consequently, you will have to copy the location from your old shaft and drill the hole yourself. This is item number 85 in the drawing.